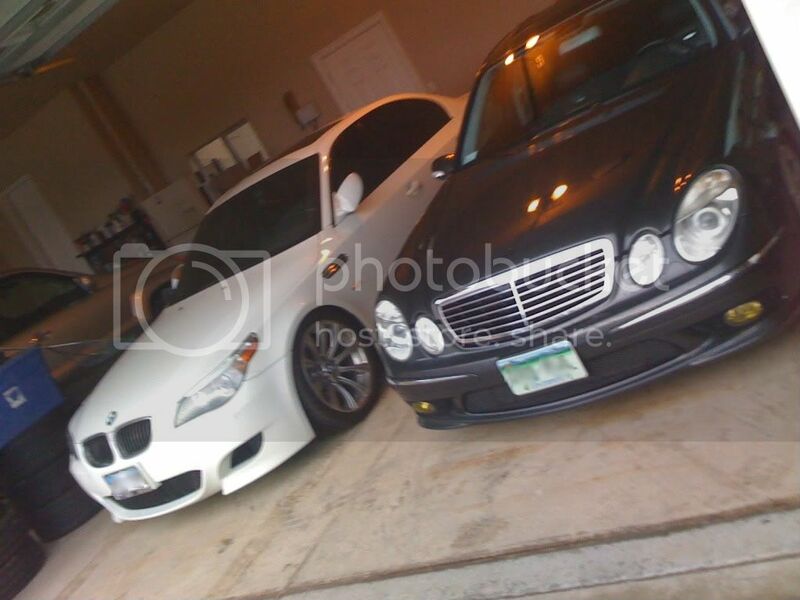 Last edited by B on my Benz; 04-22-2010 at 09:55 PM. Nice! Can't wait to see the new shoes!!! Nice. I hope to have a whole stable by the time I am 30, maybe a M will be in there. thanks sun!! hey are you vietamese by any chance, Son? No I'm not. I'm korean. You got it right the first time...it's Sun. haha my bad Sun lol. Thanks fer the kind words! I'm sure both yer rides will look SICK with HRE's! Nice AW M! Lower as well, right? love the alpine white and drop. What finish on the wheels are you going with for the M? Thanks B. How do you like the interior on the M compared to the E and options? yes it is lowered on kw's. I wish they were both mine! The m5 is my bros and the e is mine. Great question. I drove the m5 yesterday and everytime I drive it I say to my self, why is the interior so much nicer compared to the e55. Many disagree but by far the m5 has a better feel compared to the e55. oh yea. 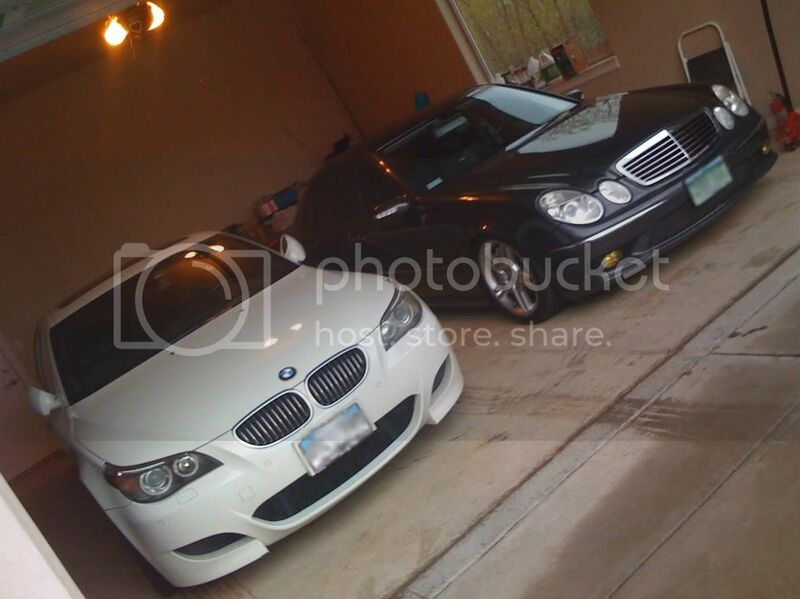 i sat in the garage and compared them both and man the m5 kinda makes the e55 very small! 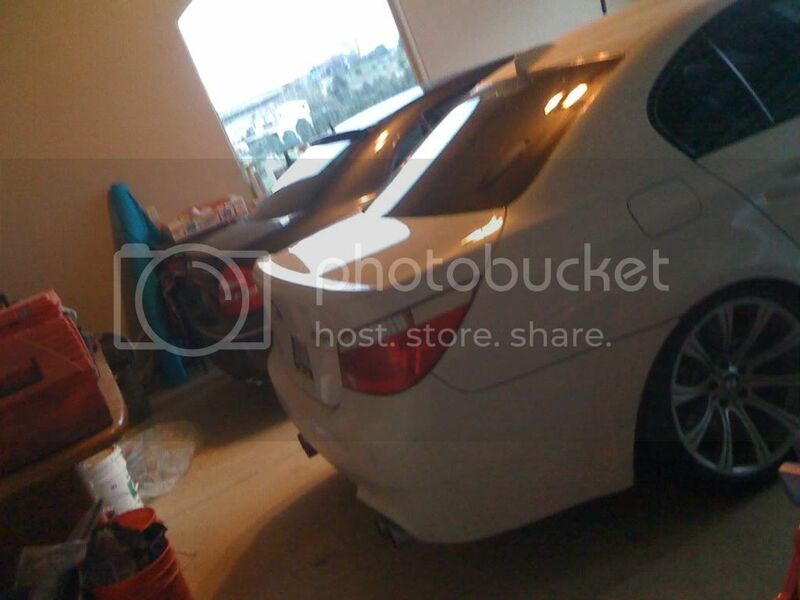 the m5 is way wider and like you said it looks mean.